Visit Stella's to see Aire Barcelona's beautiful new 2017 wedding gowns! Follow Stella's Bridal's Instagram and Facebook pages to see the many Aire Barcelona wedding dresses in stock now! "Find the One" at Stella's Bridal! The Aire Barcelona Trunk Show ends Sunday, so schedule your shopping appointment today! 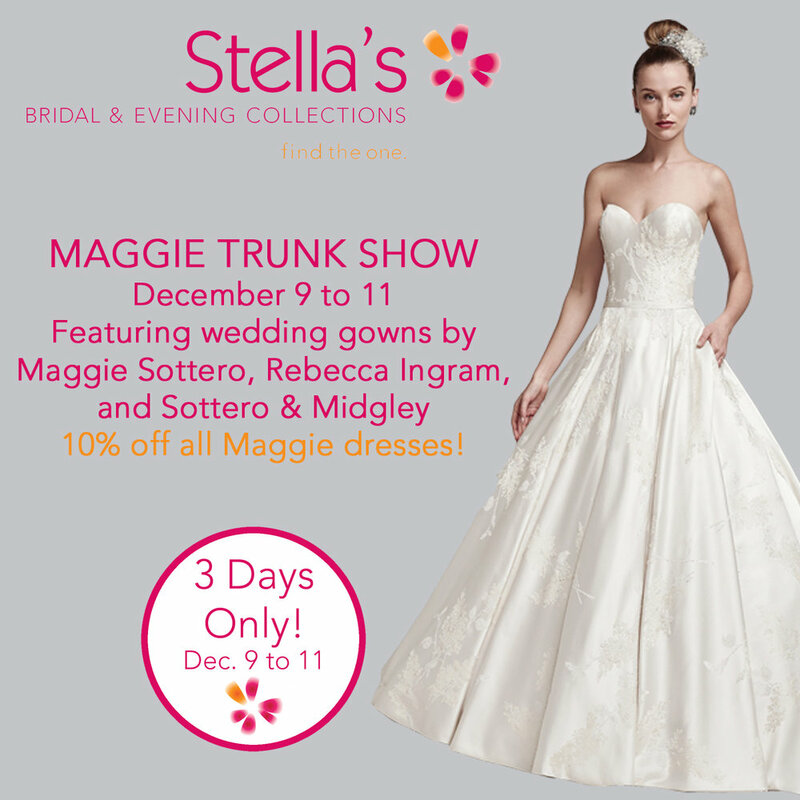 Stella's is excited to announce our Maggie Sottero Trunk Show event from Friday, December 9 to Sunday, December 11. 10% off all Maggie dresses during this event! This event will feature a large selection of the world's most beautiful wedding dresses from: Sottero and Midgley, Maggie Sottero, and Rebecca Ingram. Stella's Bridal is proud to be Manitoba's exclusive Sottero and Midgley retailer. Schedule an appointment today, or consider booking a private, after hours party, to try on these elegant gowns! We hope to help you "find the one" at Stella's Bridal! 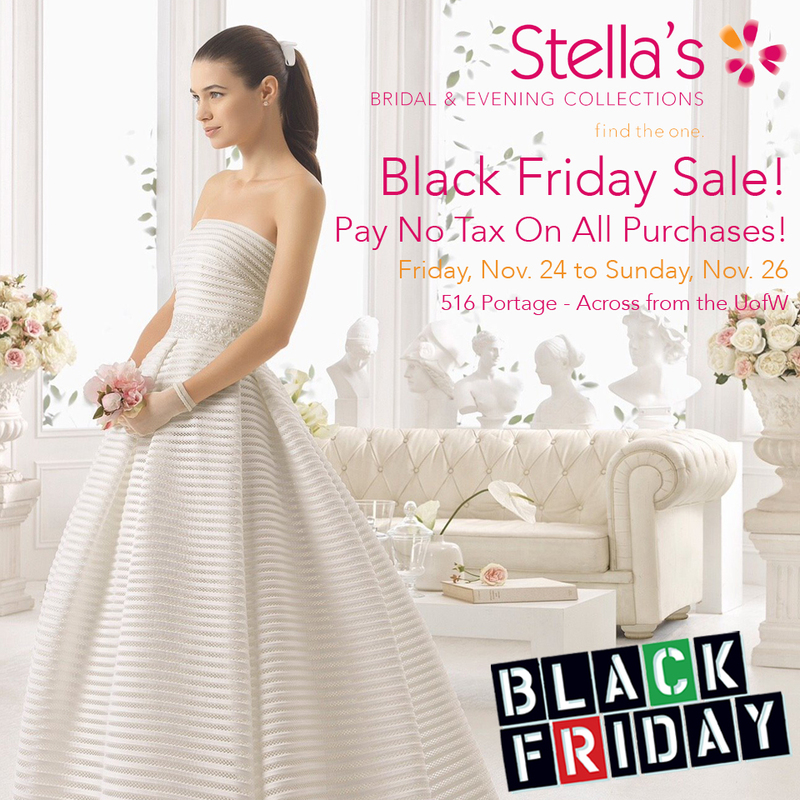 STELLA’S ANNUAL WEDDING DRESS SALE! 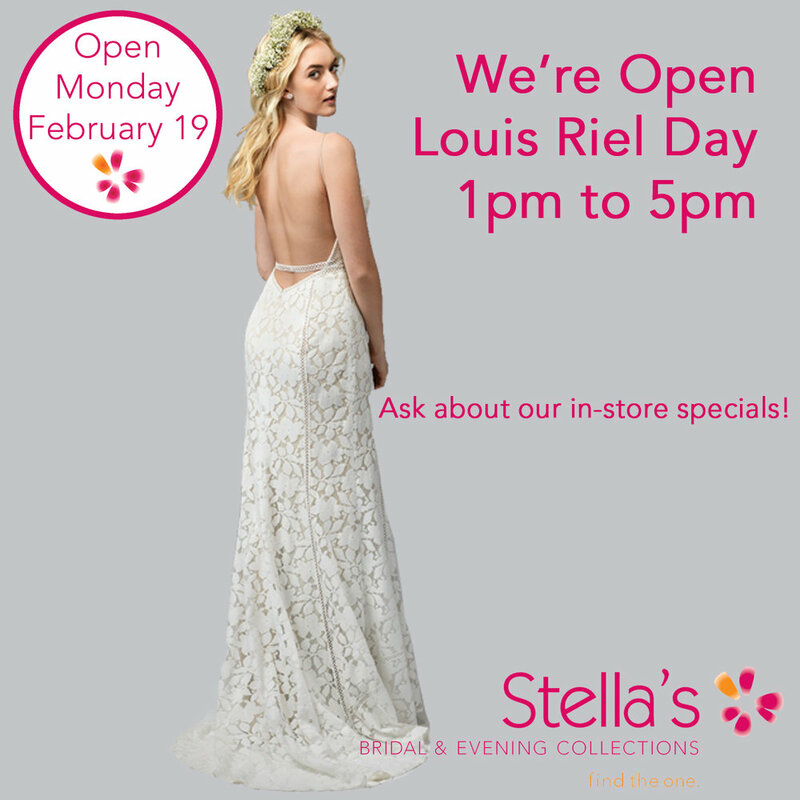 STELLA’S ANNUAL BRIDAL SAMPLE SALE! ALL DRESSES UP TO 80% OFF! GOWNS AS LOW AS $99! Hundreds of designer gowns on sale including: Aire Barcelona, Maggie Sottero, Justin Alexander, Stella York, and many more! Don’t miss our biggest sale ever! Shop early for best selection! “Find the one” at Stella’s Bridal & Evening Collections!